Thorstein Bunde Veblen, an American sociologist and social critic, was born on July 30, 1857, Manitowoc County, Wisconsin, U.S. Veblen was born into a poor, Norwegian immigrant family of farmers, and he was the sixth of 12 children. He did not learn English until he started attending school as he only spoke Norwegian at home. He was brought up on subsistence farms in Wisconsin and Minnesota. Thorstein was a thoughtful and bright child who preferred solitude and literature, which often made it difficult and socially awkward for him to connect with people. Thorstein Veblen graduated from Carleton College, Minnesota and in 1884, he received his Ph.D. from Yale. He proved himself a promising scholar and brilliant student. However, he was unable to find a job as an academician and returned to his father’s farm in Minnesota, where he lived for the next seven years and engaged himself in reading. In 1888, he got married to Ellen Rolfe, and later in 1891, he enrolled himself as a graduate student at Cornell University after repeatedly being unable to find a suitable job. In 1895, at the age of 39, Veblen got his first job as an instructor, owed to the help offered by J. Laurence Laughlin, who was greatly impressed by his academic performance. In 1899, he published his first book, “The Theory of the Leisure Class”, which offers a glimpse in to the mind of Thorstein Veblen, and explains his theory, where he interlaces Darwin’s evolutionism with modern economic life. 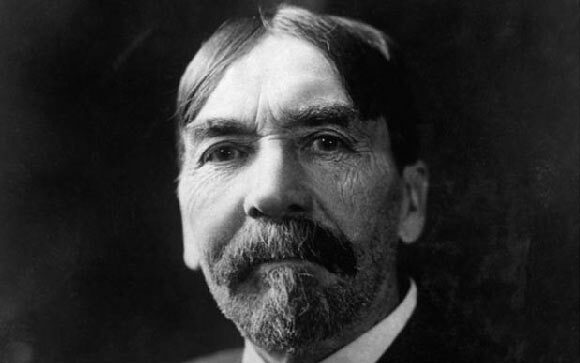 The book received worldwide acclaim, Veblen’s fame rose and he became regarded as a well reputed social critic. However, this fame did not bring him much professional success as he was an unconventional teacher who held much contempt for the rules and regulations of lectures and examinations. He taught various courses outside the sphere of orthodox economic theory which influenced many of his students, his most famous course, “Economic Factors in Civilization,” ranged over vast fields of history, law, anthropology, and philosophy. In 1904, he wrote another book, “The Theory of Business Enterprise”, in which he magnified his theory on the incompatibility between the manufacturing of good and the irrational means of business and service providence to raise money. Meanwhile, his professional life was as chaotic and disappointing as ever. He was forced to resign from Chicago, and 1906, after three years of service as an associate professor at Stanford University, he was forced to resign again due to some personal issues. After much difficulty, in 1911, he landed a job as a lecturer at the University of Missouri, where he stayed till 1918. This was a productive period in his career, as he managed to work on his most distinguished and prominent works including the “The Instinct of Workmanship and the State of the Industrial Arts” published in 1914, and “With An Inquiry into the Nature of Peace and the Terms of Its Perpetuation” published in 1917. Veblan was being read all over the world, he had developed an international following as the masses began to comprehend his analysis of modern ownership and price system. In 1918, Thorstein Veblen joined the Food Administration in Washington, D.C., this venture proved unfavorable and five months later, he joined the editorial staff of The Dial, a literary and political magazine in New York, and began writing a series of articles on “The Modern Point of View and the New Order”. His articles from The Dial, later published in book form include “The Vested Interests and the State of the Industrial Arts”, “The Engineers and the Price System”. In these works, he proposed a series of reforms for the economic system. Veblan’s literary worth was at its peak, however, his personal life was not as fulfilling. He began complaining of psychological problems, and in 1926, he gave up teaching and moved to California where he bought a cabin in Menlo Park, with a view of the mountains overlooking the sea. He remained there till his death on August 3, 1929.